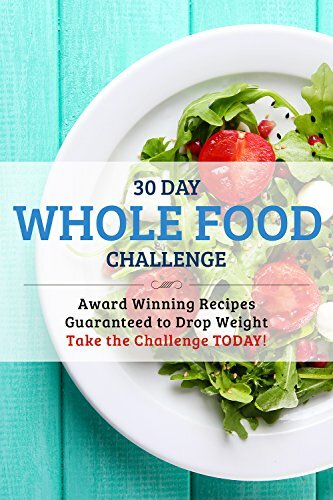 30 Day Whole Food Challenge: Award Winning Recipes Guaranteed to Drop Weight; Take the Challenge Today! In this book you will find a 30-day meal plan along with the recipes and images of the finished dish. With a quick look up guide. There are some tips and explanations on what you can eat, and what you cannot eat. Also some information on vitamins fiber and grains. You are probably saying to yourself, not another diet book! but this one is on whole foods. What makes whole foods different? Well you can enjoy food that satisfies you, unlike other diets that leave you craving for more snacks to fill the hunger pains. To give you an insight to the recipes, you use whole foods and nothing that is processed or has additives. While eating good you will also lose weight at the same time, it is not going to fall off overnight it usually takes around 21 days then you will see the affects. In fact, you are stepping back in time eating like a caveman, they never had processed foods or additives just natural foods including meat. But I think it would be rare to find an overweight caveman, unless of course you look at the Flintstones. If you’re looking at a way to also save money, then check out the meal plan, make notes and buy in bulk, this will help with the finances. Looking ahead can help with the vegetables also, buying enough to cover the recipes for 2-3 days at a time. So why not come on in, enjoy the food, lose weight and learn a little more about whole food I am sure once you have tried it you will tell your friends how you got your feel good factor and new look.